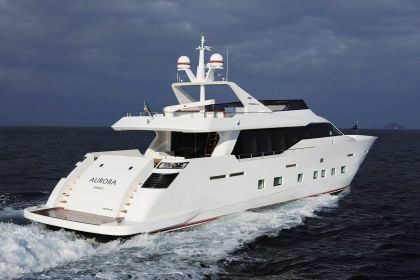 Aurora is a Tecnomar 100 luxury motor yacht launched in 2011 and refit in 2017. 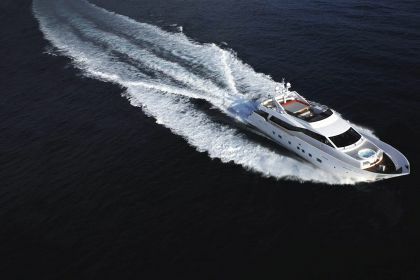 She has an elegantly simple exterior with a sporty touch. 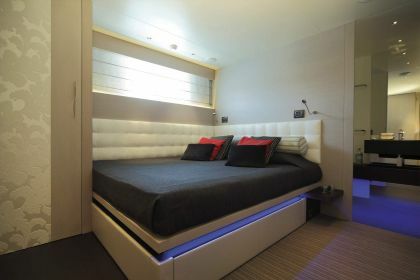 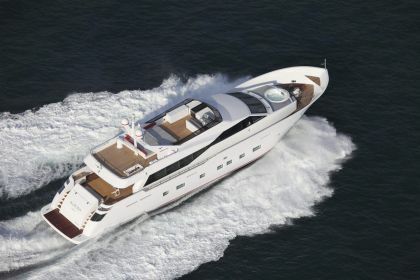 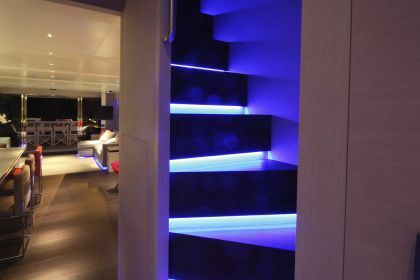 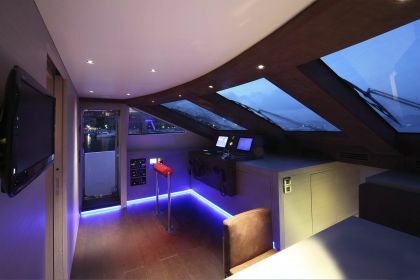 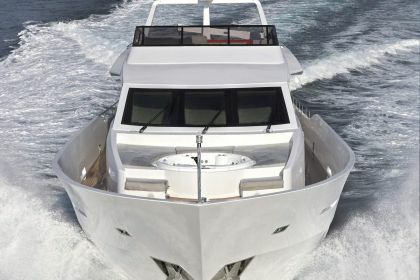 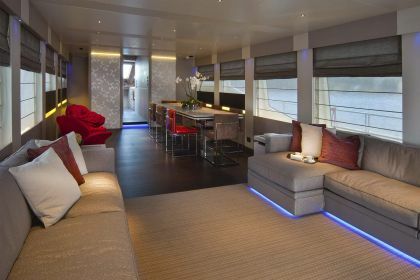 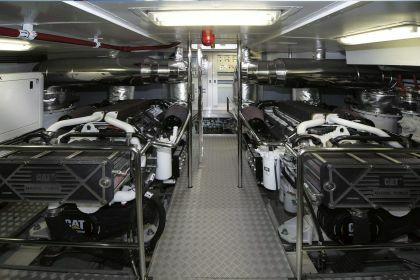 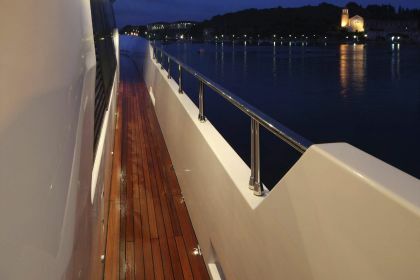 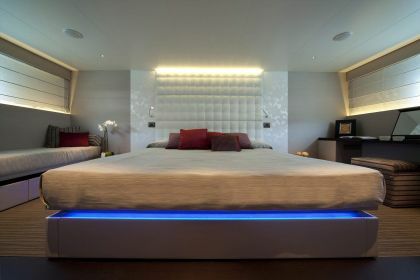 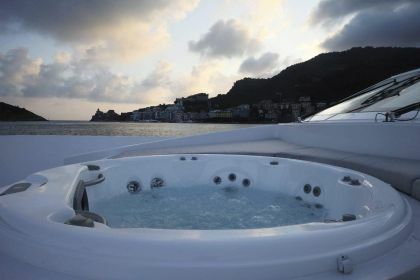 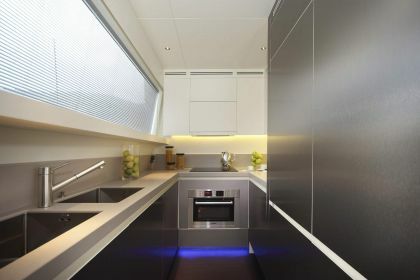 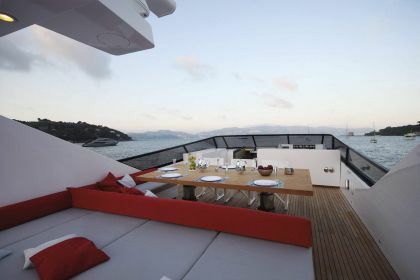 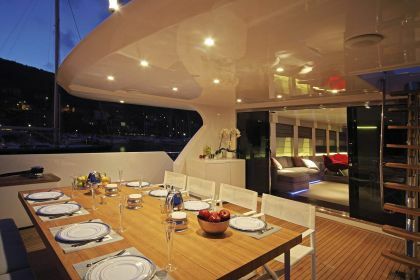 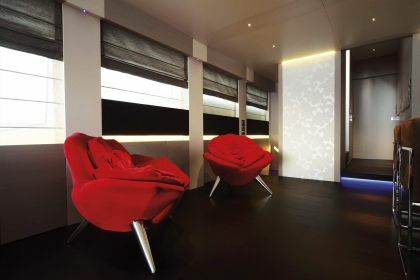 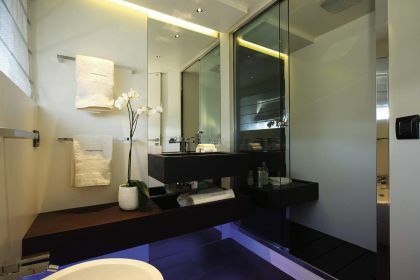 Her interior space is modern and stylish, and surprisingly spacious for a 100.39ft (30.6m) motor yacht. 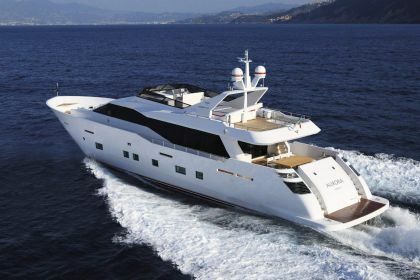 With state-of-the-art technology and a high performance capability, she far exceeds expectations for a yacht of her category. 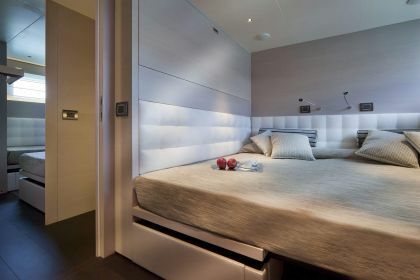 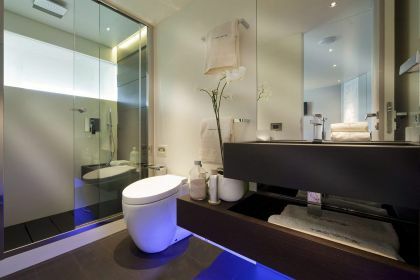 The extraordinary optimisation of the spaces, top quality finishes and careful lighting design result in a remarkably comfortable, luxurious experience. 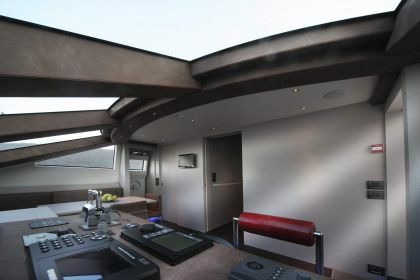 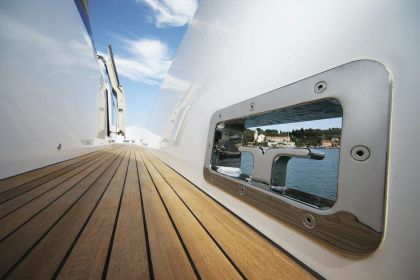 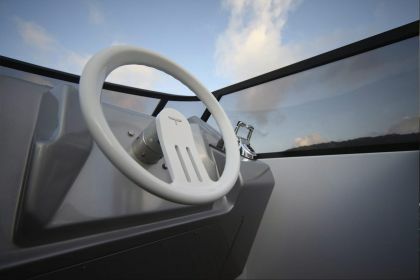 The lowered bulwark and the extra-large windows allow maximum natural light in the main deck and all cabins. 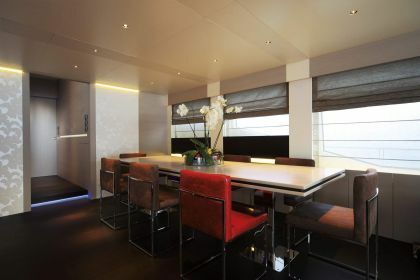 The main deck hosts the main salon, the dining area, the galley and the wheelhouse. 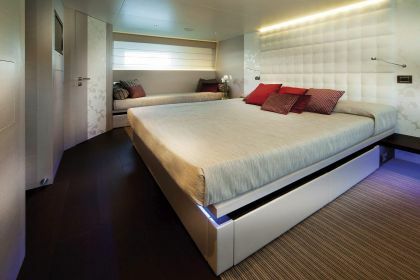 The lower deck host the 5 cabins – a full beam master suite, 2 double cabins and 2 twin cabins, accommodating up to 10 guests. 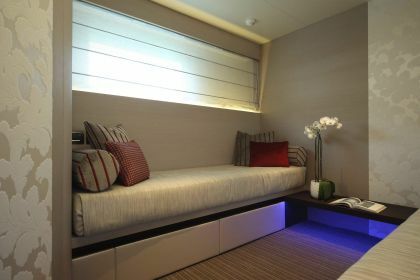 There is also space for a 6-member crew so that all your needs will be catered for.